The present commentary deals with the mass graves found at the site of the former Nazi extermination camp at Belzec by Prof. Kola’s archaeological team between 1997 and 1999, and with Carlo Mattogno’s considerations, taken from the English version of Chapter IV: Belzec in Polish Archaeological Research (1997-1999), subchapters 1 to 4, of Carlo Mattogno’s book Belzec in Propaganda, Testimonies, Archaeological Research, and History [large PDF] , about whether these archaeological findings are compatible with the historical record of the mass murder of hundreds of thousands of people at that camp. In 1997, the Rada Ochrony Pamieci Walk i Meczenstwa (Council for safeguarding the remembrance of struggle and martyrdom) of Warsaw, together with the United States Holocaust Memorial Museum of Washington, D.C., decided to undertake archeological diggings within the area of the former camp at Belzec, with the principal aim of identifying the mass graves described by witnesses. The only way to dispel any uncertainty would obviously have been to unearth the corpses buried in the graves – why did the Polish authorities not do this? If the main objective of the archeological research was the identification of the mass graves, why were the corpses buried in these graves not exhumed? When the Germans discovered the graves of the victims of the Soviet NKVD at Katyn and Vinnytsya, they did not simply drill holes in the ground with a manual drill – they opened the graves, exhumed the corpses, did autopsies, and tried to identify them. Andrzej Kola, who was supposed to furnish the ‘material proof’ of the alleged extermination at Belzec, did not take these facts into account; because of this the layout he gives for the graves is completely random, as is their surface area, their volume, and even their number. […]For several years now, the Council for the Protection of Memory of Combat and Martyrdom, in association with the United States Holocaust Memorial Council, have been working on the new memorial in Belzec. It is the wish of both parties to find a befitting medium of commemoration. The new memory site should not only pay homage the thousands of victims, but also teach about the tragedy that took place here. In 1997, the jurors of the competition for the Belzec memorial selected the work proposed by a team of artists led by Andrzej Solyga. In the selected project, the entire area of the camp becomes the memorial. The artists are of the opinion that the most appropriate way of commemorating the victims is to honour the earth that harbours their ashes. Indeed, it is difficult to think of a more meaningful symbol. For its message, it was necessary to conduct archaeological research in order to thoroughly examine the topography of the former camp, so as to exclude areas with human remnants. So that we, in commemorating, do not violate the memory of those whom we want to commemorate. The emphasis in the above quote is mine. The quote makes clear what the purpose of the archaeological works entrusted to Kola was: in connection with the intended erection of a memorial he was to identity the parts of the former camp area which contain human remains, so that these would not be disturbed when building the memorial. This purpose was obviously guided by ethical considerations about respect for the rest of the dead, from which there follows that Kola and his team, in carrying out their works, were supposed to keep the disturbance of human remains to the minimum indispensable for locating and determining the size and features of the grave sites. The samples taken for archaeological analysis from particular drills as soil core were excavated in the shape of soil column inside the drill with the height to 20-25 cm. The depth of the drills depended on the character of the layers structure. In the places where anthropogenic structures were not estimated inside, the drills were as deep as level of ground bed, which appeared depending on layers close to the surface transformations from 40 to 80 cm. The ground bed consisted of fine-grained bright yellow sand, in the deeper parts of the ground it changed into white sand of the same structure all over the researched area. In the case of studying by drilling the cultural objects (grave sites or earth relicts after a non-grave object) the depth of a drill was dependent on character of appearing structures (fig. 12-16). In the case of drills made in grave structures, the probings were as deep as stated presence of layers of corpses, which were most often situated at the depth from about 3,50 m. As the analysis of sponge in grave sites indicates, in many cases the grave excavations were dug to the depth of 4,50 to 5,0 m, reaching the underground waters. Deposition of corpses in the water-bearing layers or in very damp structure of the ground just above that layer, with the difficulty of air penetration, because of the depth, caused the changes of the deposited bodies into wax-fat mass. In some graves the layer of corpses reached the thickness of ca. 2,00 m. Most often the layers of corpses were covered with burnt bone remains mixed with charcoal. Several years ago the United States Holocaust Memorial Museum decided to build a Holocaust memorial for the 600,000 Jews murdered at Belzec. 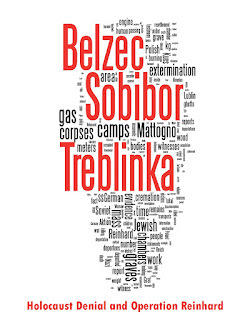 Last June, I warned on these pages that "Despite assurances by museum officials that 'we are being careful in construction not to disturb any human remains,' anyone familiar with the Belzec terrain, saturatedin its depth and breadth with the ashes and bones of the Jewish dead, knows that this is well nigh impossible." 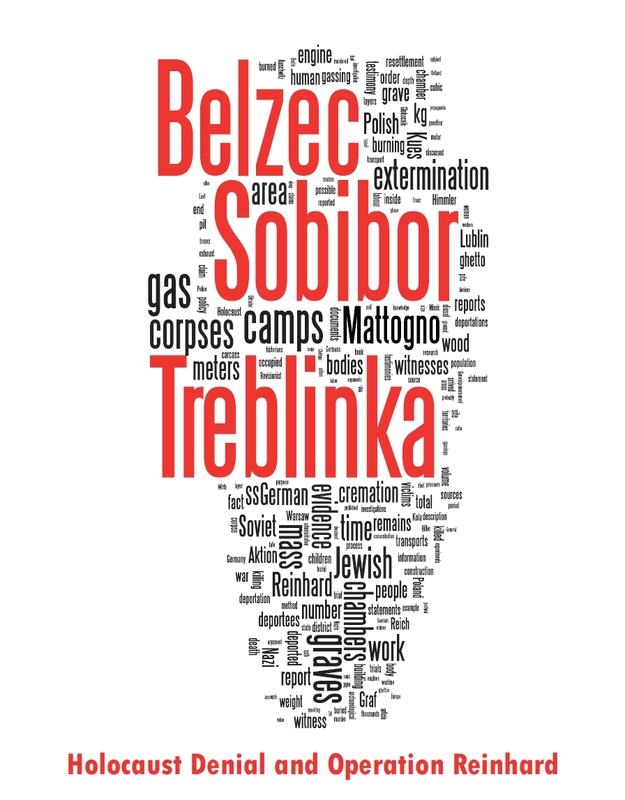 With the recent publication of Andrzej Kola's book "Belzec: The Nazi Camp for Jews in the Light of Archaeological Sources," no one involved with the memorial project can claim ignorance of the desecration that has occurred. Kola documents how, in anticipation of creating the Belzec memorial, 2,227 very deep "bore holes" were sunk every 16.25 feet in a systematic grid encompassing the Belzec site. Former museum chairman Miles Lerman, whose organization co-published the book, writes in the foreword that "it was necessary to conduct archaeological research in order to thoroughly examine the topography of the former camp, so as to exclude areas with human remnants. So that we in commemorating, do not violate the memory of those whom we want to commemorate." Yet countless violations did occur as described in the book itself. Page after page of Kola's book describes what was found in the name of "archaeological research." In Grave Pit Number One, at a "depth of about [6.5 feet] burnt human bones andcharcoal were mixed together." In Grave Pit Number Thirteen "there was a layer of bodies in a wax-fat transformation." Grave Pit Number Sixteen "contained crematory ashes in layers with sand." A colored map with red circles indicates where remains were found. Red circles are everywhere. Das vorrangige Ziel dieser Untersuchung bestand darin, die Struktur des Lagers und der Massengräber zu lokalisieren, damit weder das geplante Denkmal noch das Museum, die im Herbst 2000 fertiggestellt sein sollen, dies berühren. The primary goal of this investigation consisted in locating the structure of the camp and the mass graves, so that neither the planned monument nor the museum, which are to be completed in the autumn of 2000, touch this. It is thus to be assumed that, unless he is a very sloppy reader of the documents he assesses, Mattogno deliberately misled his readers about the nature and purpose of the archaeological investigation carried out by Kola, to then derisively point out the alleged deficiencies of this investigation, especially the fact that the corpses were not exhumed, and to come up with “Revisionist” conspiracy theories about the presumed reason for these supposed omissions.